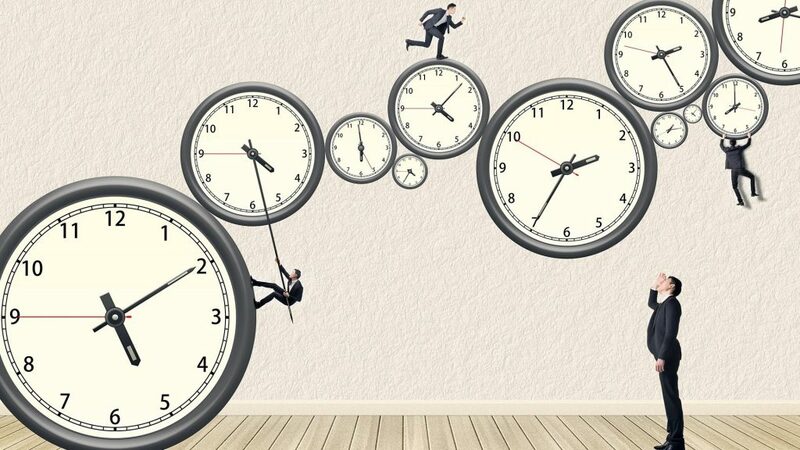 This article addresses time management, avoiding time wasters, prioritizing what is important to you, setting goals and writing them down, and looking at life holistically to help bring peace to our otherwise turbulent hectic life style. You are in control of how you manage your time and your life, even though it may not always feel that way. By identifying what is truly important to you, setting your own personal goals and writing them down, you will avoid common time wasters and by bringing this all together, you can take control of your time and your life. In my books,[i] The Servant Manager: 203 tips from the best places to work in America and Peaceful Resolutions, I explore these issues and personal choices that can lead to a healthier and less stressful life. This article introduces some of the concepts from the book and corresponding video series, Manage Your Time and Your Life. From neuroscience we understand that our brains identify activities, prioritize the activities, and then prompt us to take action to carry out these activities. We do these one at a time. We do not multitask. Instead, we are able to switch from one thing to another quickly. The preferred and healthier choice—both physically and mentally—is to stay focused on one activity for a longer period of time. This is contrary to many interruptions associated with new e-mails or texts buzzing us and responding to them almost immediately. With this look at our current reality, what do we do? You have 24 hours in a day and seven days, totaling 168 hours in a week. If you had two extra hours a day, what would you do with these two hours? Exercise? Spend time with your family? Spend time with friends? Spend time on your hobby? Work more? Initiate additional education or training? Let’s face it: we all have many challenges with too much work and not enough time, right? Well, if you had two more hours each day, how would you use that time? If you decided this reality activity (and choice) is important, could you find a way to make that happen? I suggest you stop, think about what you would do with two more hours each day, then write these items down. Seriously, stop reading this article and write down what you would do with two more hours each day. This is something that is important to you. I will introduce goals, goal setting, and writing down goals later. We will come back to what you have written down and how to incorporate these ideas into your life’s priorities later in this article too. In terms of looking for resources as references that you can purchase or check out at a library I would like to recommend The Seven Habits of Highly Effective People by Stephen Covey[ii]. Habit one is being proactive. Habit two begins with the end in mind. Habit three puts first things first. Habit four thinks win-win. Habit five puts listening up front. Habit six suggests partnering with others. Habit seven suggests balancing exercise, eating, resting; social and meaningful connections; learning, reading, writing and teaching; and developing spiritually. These habits tie directly into your setting goals for yourself. We are going to tie these elements into time management. Now, try this for what you would do with two more hours each day. Write out your goal and apply it to the SMART model. It has been found that by simply taking the time to write down the goal and your specific actions, the chances of actually meeting the goal increase significantly. This was a quick look at one tool. There are a host of other tools you can use and I offer dozens of tips to help you with time management and to relieve stress taken from classes that have generated ideas on these topics. You may want to discuss these with your team and work on some of these tips together. When I teach such topics, I encourage managers to work with their teams and collectively share ideas. In this way, team members can help others that may need some help while offering a safe environment and incorporating best practices. It also helps the group with team building. By discussing these types of questions with your team (family) you can collectively determine your priorities and develop goals as well. Some other tools you may want to consider are: the Johari Window[iii], the Eisenhower Window,[iv] and various techniques you can use to prioritize your goals. These tools can help you better understand yourself and help others on your team as well. We know how we should eat right and exercise. But do we recognize that 15 minutes a day of meditation, reflection, prayer, or mindfulness can reduce our stress levels and lead to a healthier brain? 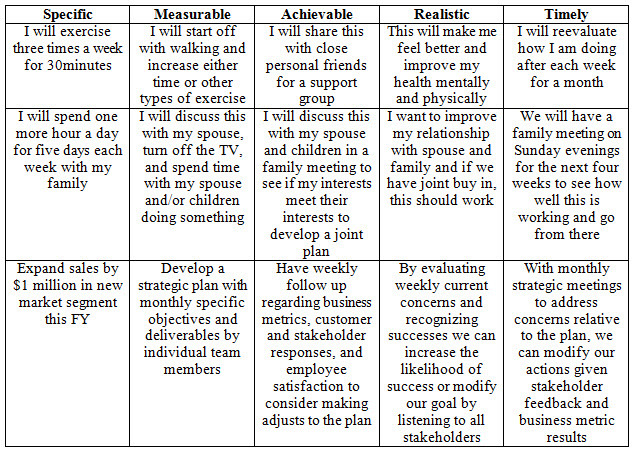 [v] With a healthier brain we can also take the steps presented here to manage our time more effectively. Essentially we need to determine what is important, prioritize the most important tasks, and take appropriate actions. We tend to react rather than act proactively. For you to address any concern, it has to begin with you. You need to take control and address your priorities. As you take control, you gain self-esteem. As you relate to others better (given a better sense of control), you will build trust easier with others. You will find yourself looking out more; not only for yourself, but for your team. Don’t you like to work with people that look out for you? Others do too. Cultivate this within yourself and encourage others to do this also. Focus on the needs of customers, employees (up, down, and lateral), and stakeholders. This makes you and the team more valuable. On the personal side, you will feel so much better about yourself as well. These concepts are presented, and more fully explored in a video of mine that contains practical commentary, to help viewers explore how to manage time more effectively and reduce stress levels. Whether this is new to you or you are an expert in this area, I am sure some ideas presented will help viewers become better at managing their time and reduce stress. This and other tax topic and leadership videos are also available at www.mikegreg.com. [i] Michael Gregory worked for the IRS for 28 years as a specialist through executive level. Twice he was nominated by his employees and received the honor of IRS civil servant of the year in his career; both as a front line manager and a territory manager. In 2011, he founded Michael Gregory Consulting, LLC. His web page is www.mikegreg.com offering his videos and books. He can also be reached at (651) 633-5311. Michael Gregory worked for the IRS for 28 years as a specialist through executive level. Twice he was nominated by his employees and received the honor of IRS civil servant of the year in his career; both as a front line manager and a territory manager. In 2011, he founded Michael Gregory Consulting, LLC. His web page is: www.mikegreg.com offering his videos and books. He can also be reached at: (651) 633-5311.